Time sure flies by fast. The first month of 2016 is almost here. And winter is surely making us remember it’s here. So because I don’t really feel like going out, I’m home staying out of the cold. 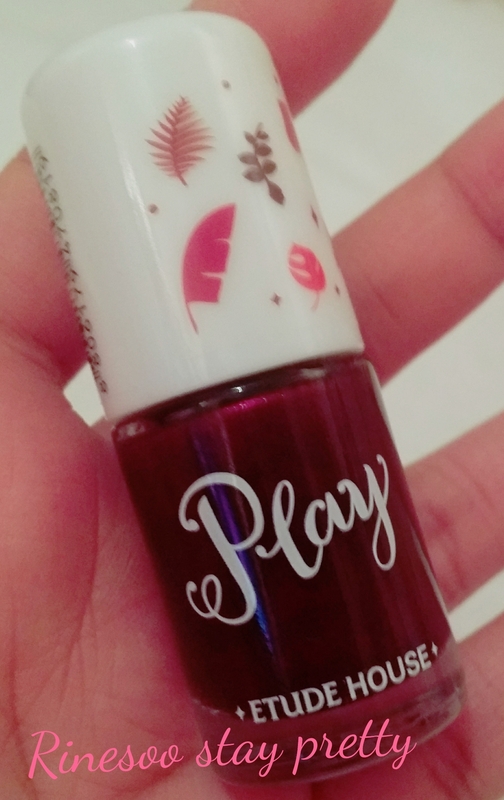 So I have time to paint my nails from my latest Etude House haul, the Etude House play nail polish in 376 wine maple.